"A very friendly, professional staff in a nice facility." "I highly recommend Blue Mussel." "The results have been amazing! I highly recommend this spa!" 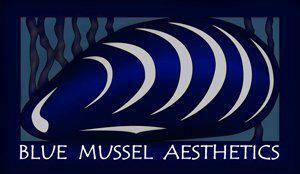 "I recommend Blue Mussel without hesitation for overall facial skin improvement." Offering Botox, Dermal Fillers, Dermasweep MD, Kybella, Microneedling, Latisse, and Advanced Skin Care Products.